In response to hemp legalization signed into law Thursday, the U.S. Food and Drug Administration issued a reminder that CBD and THC are still not legal to add to food – but promised further review of its guidelines. 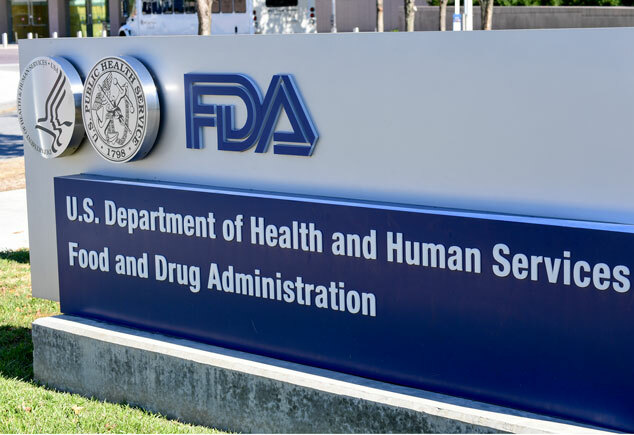 “It’s unlawful to introduce food containing added CBD or THC into interstate commerce, or to market CBD or THC products as, or in, dietary supplements, regardless of whether the substances are hemp-derived,” FDA Commissioner Scott Gottlieb wrote. But the agency also acknowledged “substantial public interest in this topic and the clear interest of Congress in fostering the development of appropriate hemp products,” saying it will give the cannabinoid an updated review “in the near future,” with no exact date for an announcement. Gottlieb also announced plans to consult with the CBD industry to develop “predictable and efficient” guidelines. But the law also retains the FDA’s authority over how CBD (and hemp-derived THC) can be used. The FDA has repeatedly said that CBD and THC cannot be added to foods, drugs or cosmetics because CBD is an active ingredient in an FDA-approved pharmaceutical, Epidiolex, as well as other medications under FDA review. THC is also off-limits because it is an active ingredient in other drugs under investigation. But the FDA has done little to stop the proliferation of CBD products flooding the marketplace in recent years, beyond sending warning letters to a handful of CBD manufacturers believed to be making illegal medical claims, implying a CBD product can treat or cure a medical ailment. Some states, including California and New York, have followed the FDA’s lead and banned CBD in food. But even in those states, enforcement has been spotty, and CBD is being sold in an ever-growing number of food locations and even standalone retail stores that allow product sampling. Even as the FDA reiterated its position that CBD and THC are illegal for use in food, the agency granted additional legal protections to hemp products with almost no detectable cannabinoids. Are You Allowed To Fly With CBD Oil?